At Hagbourne Berks cross stitch pattern... 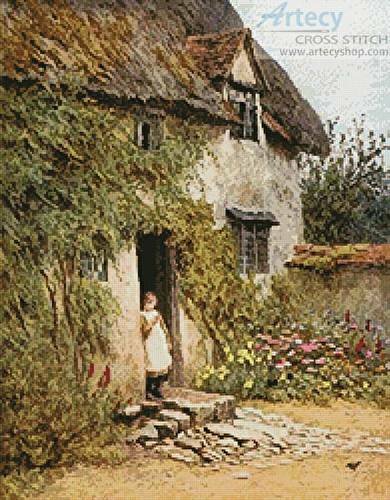 This counted cross stitch pattern of a Girl standing in a doorway of a English Thatched Cottage was created from a painting by Helen Allingham. Only full cross stitches are used in this pattern.